One of my favourite distinctions is the one between “idealism” and “materialism” in political thought. Idealists think that, ultimately, it’s our ideas that produce our conditions. Materialists think that, ultimately, it’s the conditions which produce our ideas. Both idealists and materialists acknowledge that there are cycles, that ideas and conditions often play off each other. But idealists think that, when push comes to shove, ideas drive the bus. Materialists, by contrast, think conditions do. To give you a very simple example–some people think that racial disparities exist because people are racist. These people are idealists. Other people think that people are racist because of racial disparities. These people are materialists. Idealists and materialists pursue very different strategies for tackling racism. Idealists believe that if we can get people to change the way they talk about race, we can change people’s racial beliefs, and if we change the beliefs the conditions will follow suit. Materialists believe that we have to take on the conditions first. So an idealist would think it’s really important to get people to stop saying racist things, not just because saying racist things is mean-spirited, but because idealists believe saying racist things really does perpetuate a culture of racism which is the prime cause of racial disparity. For materialists, racist remarks are not a primary cause of racial disparity–they are a symptom of it. Materialists might instead suggest that modern racism developed out of an effort on the part of white Europeans to explain why it was possible for them to colonise and subjugate people from Africa and the New World, and that the gap between white people and the colonised peoples must shrink before racism will cease to appear as an attractive, simple explanation for disparities. Both materialists and idealists will acknowledge feedback–materialists will admit that racist beliefs themselves make it harder to deal with the underlying disparities, and idealists will admit that racial disparities themselves make it harder to change people’s beliefs. But the level of priority given is totally different. This is why there’s so much fighting between liberal anti-racists and Marxist anti-racists. The liberals are, for the most part, idealists, and the Marxists are, for the most part, materialists. Idealism is traditionally associated with Hegel and materialism is traditionally associated with Marx, who famously claimed to have “turned Hegel on his head”. One of the things that distinguishes me is that I’m much more materialist than I am idealist. I tend to think that the distribution of power and wealth and the contests between states and classes play a pivotal role in shaping the way we think about politics, and I am skeptical of those who hope to reshape the distribution by changing the conversation. It’s one of the reasons the tagline for this blog is “Yet Another Attempt to Make the World a Better Place by Writing Things”–I don’t think discursive interventions are a very effective way to bring about change. But since I don’t have a lot of power or a lot of wealth, I write, because I’m not a reductionist–I still think ideas matter, just much less than conditions. There are a lot of idealists I don’t agree with, but I can respect them because they aren’t reductionists either–they still think conditions matter. 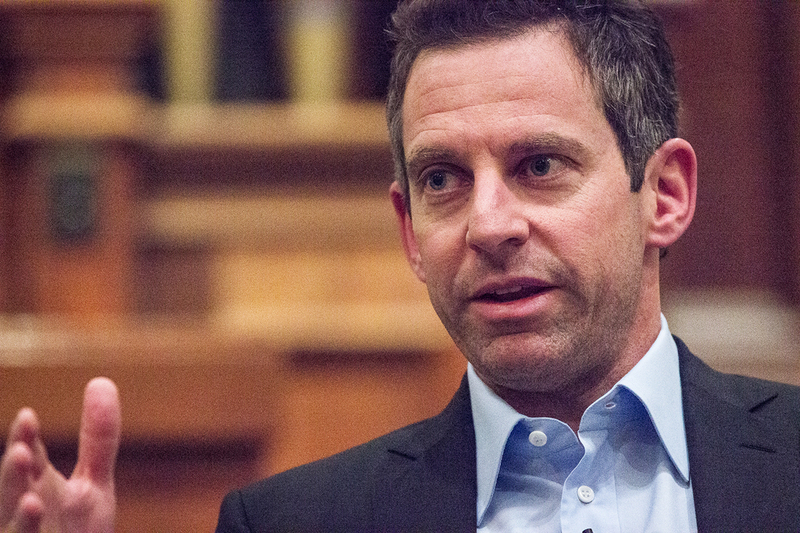 The problem with Sam Harris isn’t that he’s an idealist–it’s that he’s very reductive about it. Not only does Harris seem to think that only ideas matter, but he has alighted rather heavily on one specific category of ideas–religious ideas. Given the vicissitudes of Muslim history… I suspect that the starting point I have chosen for this book—that of a single suicide bomber following the consequences of his religious beliefs—is bound to exasperate many readers, since it ignores most of what commentators on the Middle East have said about the roots of Muslim violence. It ignores the painful history of the Israeli occupation of the West Bank and Gaza. It ignores the collusion of Western powers with corrupt dictatorships. It ignores the endemic poverty and lack of economic opportunity that now plague the Arab world. But I will argue that we can ignore all of these things—or treat them only to place them safely on the shelf—because the world is filled with poor, uneducated, and exploited peoples who do not commit acts of terrorism, indeed who would never commit acts of terrorism of the sort that has become so commonplace among Muslims; and the Muslim world has no shortage of educated and prosperous men and women, suffering little more than their infatuation with Koranic eschatology, who are eager to murder infidels for God’s sake. We are at war with Islam. It may not serve our immediate foreign policy objectives for our political leaders to openly acknowledge this, but it is unambiguously so. For Harris, there is one essential Islam, with specific properties and behavioural consequences for those who adhere to it. There are many good critiques that can be made of this argument, but I want to draw attention to how much this elides completely the way material factors change the beliefs and behaviours of religious people over time. 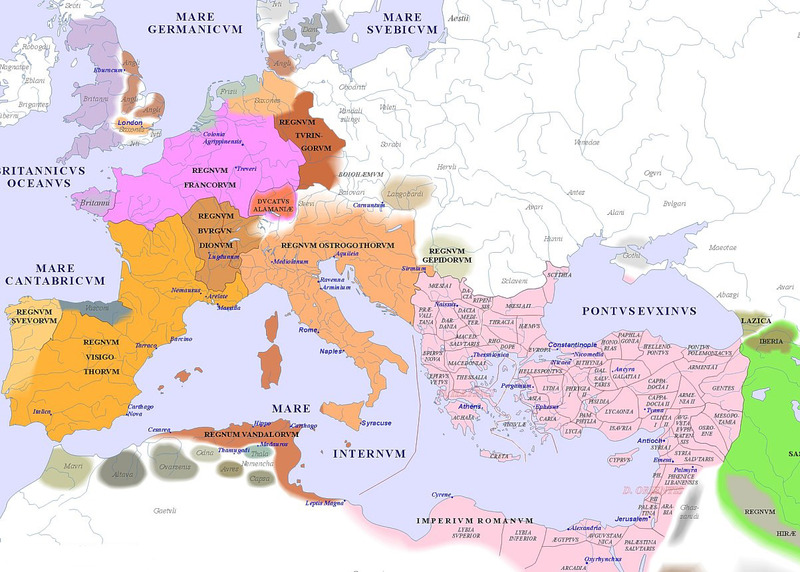 During the Roman period, the Roman Emperors oversaw the church, carefully shaping its doctrines to meet their political needs. It’s why, for instance, Christmas occurs in late December. It’s not because we have any conclusive evidence that Jesus was really born on December 25th–it’s because that date corresponds with Saturnalia, a Roman pagan holiday, and by bringing Christmas and Saturnalia together the emperors could ensure their subjects got to keep one of their favourite holidays on the Roman calendar. They even brought many pagan traditions into Christmas–the fir trees we associate with Christmas were originally used to decorate pagan temples during Saturnalia. In the east, this continued. The Patriarch of Constantinople lived virtually next door to the Roman Emperor, by far the most powerful person in the early medieval world. Patriarchs stood little chance of winning any kind of showdown with the big man in purple. So the Orthodox church remained “Caesaropapist”–Caesar over pope. Over time, the western European states grew and consolidated. They didn’t want to have to defer to the church anymore. So they began looking for alternative ways to legitimate themselves. Protestantism was a useful vehicle for these kings–if their subjects were protestants, those subjects would no longer expect the kings to defer to Rome. In some places, the kings even managed to establish themselves as heads of the church–most notably in Britain, where to this day the Queen remains head of the Church of England. In other places Catholicism remained, but chastened. It was forced to give way to secularism to be allowed to continue. This is more or less what we see in France. So in both Britain and France the church was dramatically weakened so that the state could assert itself. In the east, Caesaropapism never really went away. The old Roman mechanics for legitimating the emperor never totally changed, and there’s a much stronger authoritarian tradition as a result. In Russia, Vladimir Putin’s legitimacy rests on a kind of charisma grounded on his ability to stay in power and destroy enemies. This is broadly the same way Roman Emperors and Tsars (which, by the way, means “Caesars”) and even Soviet premiers kept their subjects in awe. The Russian state has rarely treated the Orthodox church as an enemy (except during the Soviet period), because the Orthodox church has traditionally been an ally of the Russian autocrat, and the Russian autocrat typically draws on this Eastern Roman imperial legacy. For centuries the Russian Empire styled itself as the “third Rome“, and Orthodox zealots still make memes about Putin retaking Constantinople and restoring the Eastern Empire. These are still the three most prominent traditions within Christianity–Catholicism, Orthodoxy, and Protestantism. Yet whatever their theological differences, the division among them has deeply material roots. It was changes in the distribution of power in Europe that caused Christianity to change and split and morph over and over. It was the states of Europe that drove this change. The Muslim world is still dealing with the legacy of the breakup of the Ottoman Empire. The Ottoman state guided the development of Muslim thought through its scholarly institutions based in Istanbul. Without the Ottoman Empire, the scholars in Istanbul have much less influence than they once had. The political fragmentation has enabled different Muslim states to pursue their own agendas. The Saudi state is an autocracy where the king is sponsoring a specific brand of Islam which that king believes will help him legitimate his rule. It also happens to be the case that this brand of Islam is heavily associated with radicalism. In this case, the problem is the Saudi state’s malignant mechanism for legitimating itself–it’s not with Islam. Iran–which has always been outside the Ottoman sphere–also uses a particular brand of Islam to legitimate its ayatollah, and because the Iranian state is still treated as an enemy of the United States its brand of Islam necessarily treats the United States as an antagonist. This happened because the United States used to sponsor the Shah–a different autocrat, whom the Iranian people despised. When they got rid of the Shah and their relations with the United States soured, the kind of Islam their state supported changed to reflect that antagonism. There are now many Muslims living in relatively weak, secular autocracies committed to doctrines like Arab Socialism or Baathism. When Britain and France dumped their dependency on the pope, they were powerful, centralised states seeing surging economic and material prosperity. It was easier for their states to legitimate themselves, and even despite this there was considerable instability. Britain experienced the English Civil War and numerous Jacobite Rebellions, France experienced the 30 Years War, the French Wars of Religion, and the French Revolution. The secular autocracies are having much less economic success than Britain and France had, in part because of the defects of their authoritarian institutions and in part because the prosperous western powers continue to subject them to cruel neocolonial trading arrangements. It’s to be expected that they would experience even worse versions of what Britain and France experienced–civil conflict, religious radicalism, and bloodshed. When the Ottoman Empire was broken up, pieces of it were occupied by Britain and France. One such piece was the Palestinian mandate. The British used divide and conquer tactics to hold Palestine, stoking religious antagonism between Jews and Muslims. Today, Palestinians remain without a functioning state while Israel remains intent on being a Jewish state and therefore on excluding Arab Israelis from its political project. The British left a mess in Palestine which continues to inspire radicals of many faiths. When there are strong, centralised states in the Middle East with strong bases for legitimation, Islam will become more like Christianity. It is because the Muslim world is a political mess that it produces such strong surges of religious feeling, as states seek to use religion to get some level of control over the chaos that emerged when the Ottoman state was annihilated by careless European imperial powers. Muslim refugees and immigrants, who come to the western powers, only pose problems when western states fail to properly integrate them and leave them marginalised and isolated. Marginalised and isolated people seek out radicalism to substitute for the sense of community they cannot find in their western states. Marginalised Muslims are not the only people who do this–alt-right terrorists are engaged in the very same behaviour for the very same kinds of reasons. But Harris can’t engage any of this history, any of these material factors, because he’s a reductive idealist. Amazingly, he is far more reductive in his thinking with respect to Islam even than the Bush administration. George W. Bush saw very clearly the need for strong institutions in the Muslim world. He understood that the problem wasn’t Islam, it was the poor political order in the region. The problem is that Bush failed to understand that if the United States attempts to provide this order itself, no domestic force will develop which can step in and take the reigns. The order the United States attempted to impose in Iraq and which it continues to attempt to impose in Afghanistan only lasts as long as America remains willing to commit unlimited, vast sums of resources to these countries. As soon as the United States leaves, the same underlying problem resurfaces, because the factions and leaders we put in power are dependent on our military capability to maintain order in the country. Once we leave, they once again must try to come up with a way to legitimate their order on their own. They don’t succeed, and we end up back where we started–with America having spent trillions of dollars and with thousands of lives lost. Our role in the region now mirrors the role that Britain and France used to play–we are breaking Middle Eastern states, failing to put them back together, and eventually quitting and leaving a mess. Between us and the Europeans the region has never been able to find its own path and figure out what kinds of institutions it wants for itself, and the state of Islam reflects this wider governance problem. I’ve told you all of this history to make a relatively simple point, and one which is perhaps much less important than many of the points we’ve made along the way–that Sam Harris’ idealism and obsessive hatred of religion causes him to ignore the history, politics, and economics of the Muslim world. Despite this, he continues to be taken seriously by other people who also don’t pay attention to these things.